Chowder gives you cute big eyes and yells please. you are now paralyzed. 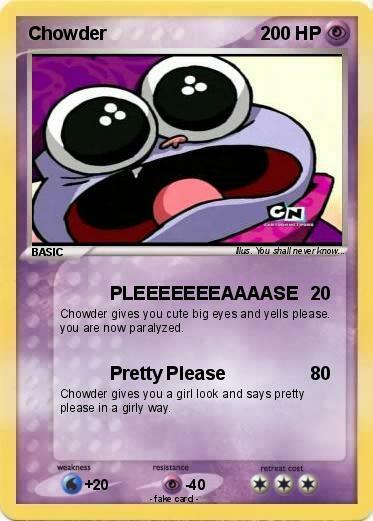 Chowder gives you a girl look and says pretty please in a girly way.